We focus on education Polish investors on the benefits, disadvantages, complexities and other important issues associated with ETFs, ETPs and index funds investing. 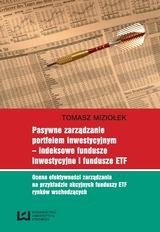 ETF.com.pl website was founded in 2009 by Tomasz Miziolek, Ph.D., who has more than 20 years of experience in the analysis of the investment fund market (mainly in Poland, but also in Europe and globally). 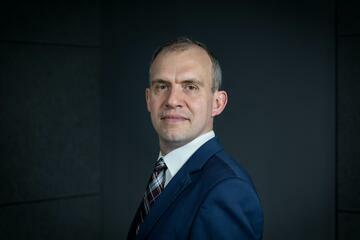 He is assistant professor at the University of Lodz (Faculty of Economics and Sociology, Department of Finance and International Investments). He is an author of book "Passive investment portfolio management – index investment funds and exchange-traded funds (ETFs). Evaluation of the effectiveness of management on the example of emerging markets equity exchange-traded funds" (2013) (more information - here). Besides he is author or co-author of more than 40 research papers (including "Nothing Lasts Forever (and Everywhere): Fundamental Indexation at the Global Level" published with Adam Zaremba in 2017 in Journal of Index Investing - http://jii.iijournals.com/content/8/3/6) and co-author of books on financial investments. He is also an author of numerous press articles and commentaries about the market of collective investment institutions (especially investment funds and pension funds). He has participated in many academic conferences and financial industry seminars organized by the major Polish universities and major institutions of the Polish capital market. For over 20 years is a collaborator the Chamber of Fund and Asset Mangement (Polish acronym – IZFiA) – a non-governmental organisation that brings together fund management companies operating in Poland. He conducted training on ETFs organized by Foundation for Capital Market Education (organization set up by Warsaw Stock Exchange).